Today, as I promised; here is the second post about building a high performance team. I will develop “the selection”. First of all, I will try to remember my first formal hiring process around 1998. I also recognize that I have used this process several times since that time. Somebody from HR called me and did the first meeting, after that, another meeting with the hiring manager. At the end one technical test, and I was done. After that process, I had to work with 7 or 8 new colleagues. Today, I remember it, and I was really lucky. I was able to work with all of them without any “big” problem (only few “relationship” issues). However, friends at that time didn’t say the same thing. Some of them had a very bad experience; they don’t have the same opinion about this process. Now, one question that I asked myself few years ago: What was wrong with this process? No focus on candidate skills. The team didn’t participate in the process or the decision. Candidates don’t have the chance to meet/know the team before accepting the offer. The team does not have any interaction with the candidate before the first day of work. Integration plan missing or it is not adapted to the candidate. Sometimes the integration plan was something very generic and it was written down by the manager. Higher risk for the company, the product, and the team if the new candidate is not well integrated in the first 3/6 months. Increase the risk of integration failures. Increase the risk of rotation of people (low retention rate). Decrease the people engagement with the team and the company. The team needs to be involved from the beginning in the procedure. The candidate must have one personalized experience before accepting or rejecting the offer. Here, you could think about half day (or a full day) in the company interacting with the team, managers and more. Learning the company culture and challenges. The integration plan must exist as soon as the position is open, and it needs to be done by the team. They are the best people in the company to do it. The full process should be focused on the personality and soft skills. It does not means that if you need a programmer, you don’t check the knowledge, but remember something: if she (or he) is not a guru in Java/PHP/C++/LINUX, she/he will be able to learn more with a good training plan. However, if she/he has not any soft skills, it will take a lot more time to get that person at the right level of soft skills needed to work in your company. Don’t forget the candidate’s aspirations. Yes, normally candidates have aspirations for the short/mid/long term. Validate with her/him this aspect. Start to work in the carrier plan from day number one. Finally, the team must make the last decision. Be ready to respect it. If the team said “no”, pay attention, the team will need to work with the new candidate the full day, try to get the “why” before making the final decision. Based on my experience, the team will always have good reasons to say “no”. Sometimes, you can fix them or change them with one more interview or with another half day of working with the team activities. If the team is very strong in the decision, you should listen to it and get more candidates to interview. Be creative in the interviews. Depending on the industry and the position, serious games could help you. Check this post if you are interested in serious games interview. 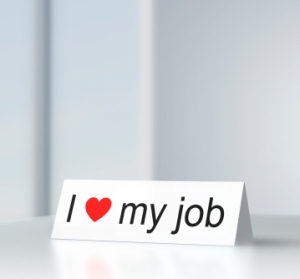 Get employees engaged from day one. Take less risks at the moment when adding a new employee at our company. Make teams happy to be part of the decision of a new member of their team. Become a company where people WANT work every day. What about your recruiting process? Is it filling up with candidates and do they know the internal teams expectations? If not, what could you do to change that? If you have good practices in your recruiting process, please share them as a comment here.